Permutations and Combinations. A topic that is as feared as it is constantly misunderstood! But learnt the correct way, counting can be endlessly entertaining. It is important to be conceptually sound, to have a good understanding of the basic concepts to be really at ease with this topic. 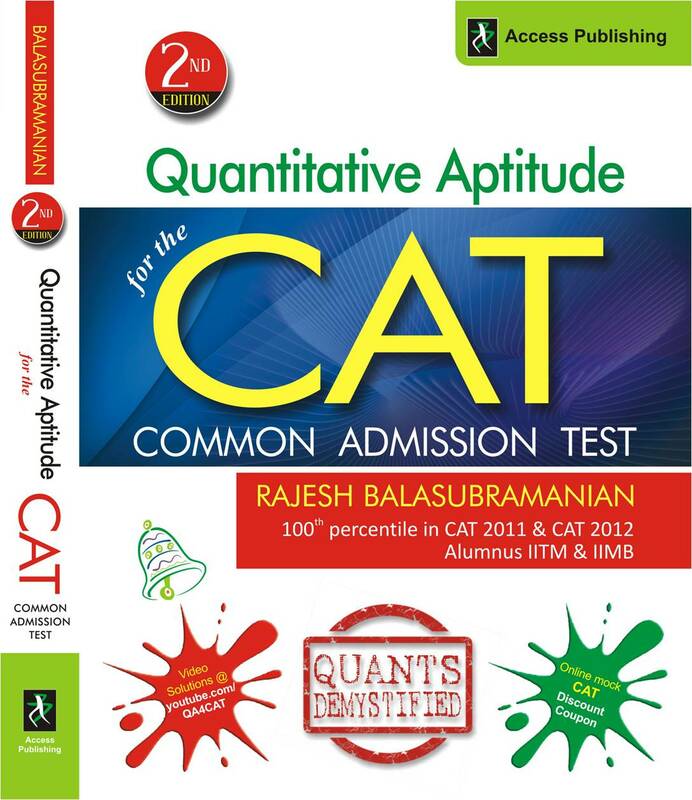 Learn from 2IIM's Director, Rajesh Balasubramanian, who has authored a book for Quantitative Aptitude for the CAT. Click here (or on the image! )to download the PDF of this chapter from the book totally free! The book features several CAT level questions, many of which are accompanied by video solutions. To view these videos, visit our youtube channel: QA4CAT. To purchase the book from Amazon, follow this link.